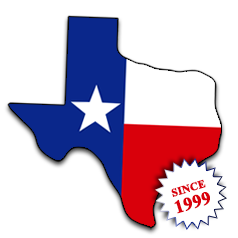 Texas Auto Exchange -- When it's Major Approved, you can trust it's as good as new. Safe, Reliable, High Quality, Pre-Owned Vehicles at Texas Auto Exchange. Minor Details Make the Major Difference! Click Here to view our impressive list of Cars, Trucks, SUVs, & Vans! Click Here to see what our customers are saying about Chris Major! Minor Details Make The 'MAJOR' difference. "Have you ever asked yourself.....How do I know when I buy a used car that I'm going to get something that's safe, reliable and high quality? How can I be sure what I'm buying isn't just some piece of junk that's going to break down tomorrow or that someone hasn't jerry-rigged the odometer for less mileage or hasn't abused the vehicle mechanically?" The sad truth is YOU can't. Unless you have a rifleman's eye for these kind of things, have been painstakingly trained in mechanical arts and have years of experience under the hood. If you want to ensure that the next vehicle you own is in tip-top condition and is truly a quality, safe and reliable vehicle you have to be able to spot the "little tells." I am that guy. My name is Chris Major and I'm the owner of Texas Auto Exchange, but I'm not a car dealer. This may come as a shock, but I'm really just a humble mechanic. Well, maybe humble may not be the right word. After graduating Texas State Technical College I began working as an auto technician. I advanced quickly and after many long classes and late nights I became a Chevrolet certified master technician. But my passion pushed me further and I became an ASE certified master technician. An ASE certified master technician is truly an expert at diagnosing drivability problems and rebuilding every part of an automobile. These are the types of problems that leave most mechanics scratching their heads. Today I don't let anyone but me buy the cars that I sell at my dealership. I do it personally. I go over each vehicle with a fine-tooth comb before I buy it. Then I take the newly acquired vehicle to my shop and PERSONALLY give it my proprietary, rigorous 150-point Major Approved Certification Inspection. Every minor detail is double checked. Nothing is overlooked. When it's Major Approved you can trust it's as good as new. If I wouldn't give it to my mother to drive, I wouldn't sell it to you. At Texas Auto Exchange in Goldthwaite, TX I can help you find the slightly used car, truck, SUV, or van you've been looking for. 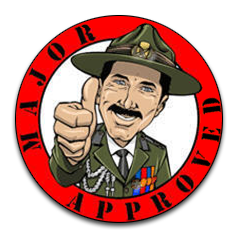 Every vehicle has passed my personal 150 point "Major Approved" Certification Inspection. Every vehicle is checked with a FENDER SPLENDOR paint meter so you can be sure the vehicle has not been in a wreck or painted by some shady body shop. When you come to Texas Auto Exchange, to look for your next vehicle you won't be attacked by some slick salesman. No, my wife Kendra or I will calmly answer all your questions. We will even help you arrange financing if you need it. You will never be pressured here. You will only get friendly advise from the vehicle experts. Come to our central Texas dealership today, or call and schedule a V.I.P. test drive, and we promise you will drive away with a smile after visiting Texas Auto Exchange.